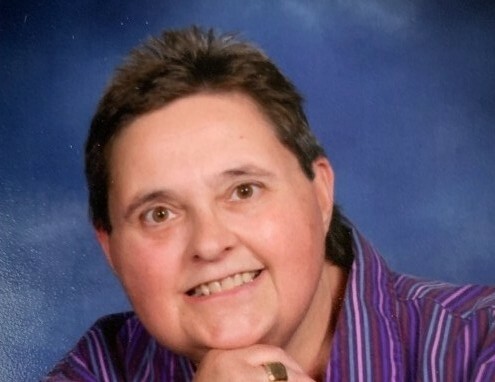 Tammy Tucker Mauldin, 57, of Palm Springs, FL, passed away on Friday, April 5, 2019. She was born May 7, 1961 in Gaston County and attended East Gaston High School. She was a former employee of Hess Corporation and attended Lakeside United Methodist Church, Lakeworth, FL. She was preceded in death by her father, Clyde Alton Tucker. Among those left to cherish her memory are her mother, Janette Poteat Tucker of Mount Holly; long-time friend, Melanie Swager of Palm Springs, FL; her son, Joshua Mauldin; her grandchildren, Rachel, Oliva and Henry; her brother, Mark Tucker and wife, Mitch of Dallas; her sister, Kelleigh Smith and husband, Mike of Stanley; nieces, Ashleigh Lavender and Tiffany Tucker; nephews, Austin Tucker, Derek Lavender, and Landon Tucker; and great-nieces and great-nephews. The family will receive friends from 2:00 until 3:00 pm on Wednesday, April 10, 2019 at Woodlawn Funeral Home with the funeral service immediately following. Burial will be at Hillcrest Gardens Cemetery, Mount Holly. Condolence messages may be sent to the family by visiting www.woodlawnfuneral.org. Woodlawn Funeral Home of Mount Holly is serving the family.